Maybe the most bizarre sport in the Winter Olympics -- or the sporting world in general -- is gaining fans mainly due to its uniqueness. It seems that for every person who mocks curling, there is another who is glued to the TV when the sport is broadcast, whether or not they can explain why they like it or even how to play it. The sport was the only one to see increased ratings between the 2002 and 2010 Winter Olympics. The Hilton Garden Inn DC is here to help. The hotel hosted the Capital Curling Expo sponsored by Coca-Cola this weekend. The deliberate launch, the frantic sweeping of the ice, the goofy pants -- all explained at the expo. "When the idea of doing something unique during the Olympics was presented, hockey, figure skating, downhill skiing all seemed kind of generic, so we wanted to do something intriguing and different, and curling was thrown out there as an idea," said hotel General Manager John Rish. "One thing led to another and here we are as an official hotel of USA Curling." 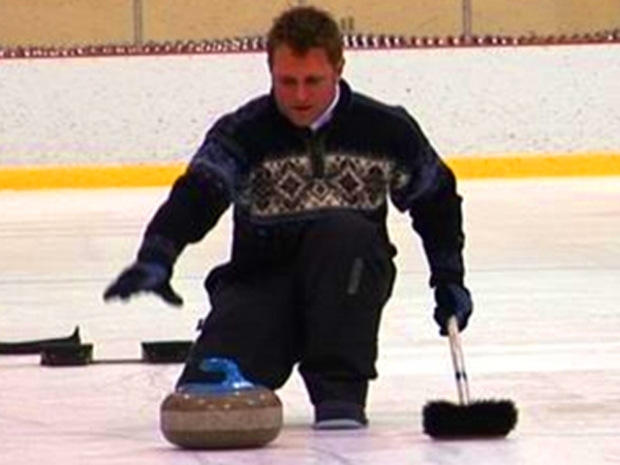 While gearing up for the 2010 Vancouver Olympics, LXTV gets a beginner's lesson in curling from expert Allen Fry. Get more Olympics coverage and check out LX New York. A Garden Inn ballroom was transformed into a curling arena for Friday through Sunday. "It gives people the chance to experience curling first hand, learn some strategy and have some fun," Rish said. The hotel was fully booked for the weekend, with many people excited about curling. "We don't know much about curling," Rish said. "Probably to most people in D.C. it looks like a silly, ridiculous sport. But we have experts on hand from USA Curling, we have the Utica Curling Club, the Villanova Curling Club here to explain what curling's all about." 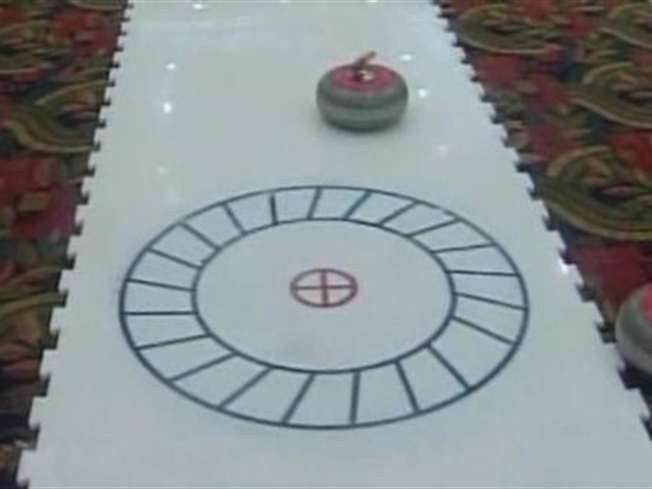 By the way, the object of curling is to get 42-pound stones as close to the center of concentric circles as possible.